From DICOM MRI Files to Knowledge. The EVAL App is based on a modular architecture. The core system was developed by me between 2005 and 2013. Members of the functional imaging group in my lab added a web-based user interface and a subject database system. The EVAL App is capable to perform complex multimodal data analysis steps completely automatically. An example for an completely automated group analysis of structural and diffusion tensor magnetic resonance imaging is given in a recent paper: Early silent microstructural degeneration and atrophy of the thalamocortical network in multiple sclerosis (Figure 1) . The specific realization of the image processing depends on the employed procedures, called EVAL PROCs. These PROCs define the parameters that are calculated from a certain MRI input data file. MRI data must be available by data transfer mechanisms as defined by the Digital Imaging and Communications in Medicine (DICOM) standard. Here “DICOM standard” means that the images are either files in DICOM format (CD, DVD, hard disks) or are available online in a networked environment so that they can be send to the system directly from a MRI scanner, PACS system, or DICOM viewer. In contrast to „online“ or interactive programs, which prompt the user for input, batch processing is the execution of a series of programs („jobs“) on a computer without manual intervention. Thus the EVAL App permits to analyze Neuroimaging MRI data in a fully automated and standardized way. The automated and thus objective nature of the EVAL App, in contrast to manual or semi-automated techniques, permits the routine application in clinical and large-scale studies. Having access to this type of processing for magnetic resonance imaging (MRI) data for large populations including various disorders as well as a spectrum of normal controls should facilitate the characterization of morphometric brain signatures associated with specific disorders. Ultimately, the EVAL App might provide a more accurate and sensitive tool for early diagnosis or monitoring of brain disorders if no other information is available or guiding. 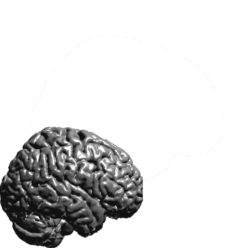 The EVAL App makes high-end quantitative MRI and neuroimaging data processing accessible to non-experts. The EVAL App permits to employ complex and computational time intensive methods that are not available on standard MRI scanners. The EVAL App generates fully qualified reports in pdf format without user intervention directly from DICOM data. The EVAL App is highly flexible and expandable because the individual tasks to generate a quantitative report from MRI data are defined by short but powerful scripts (procedures, short PROCs) in a specially developed job control language (EVAL/JCL). Each analysis procedure written in EVAL/JCL is logged in detail and can be reviewed or restarted even after decades. The EVAL App can process thousands of neuroimaging image processing steps in exactly the same way. The EVAL App ensures data consistency and the highest degree of processing security and risk minimization. The excessive logging of the outcome of each EVAL/JCL processing command built the basis for the quality management system implemented into the EVAL App.